This outdoor table creates a cozy, comfy eating space outside. 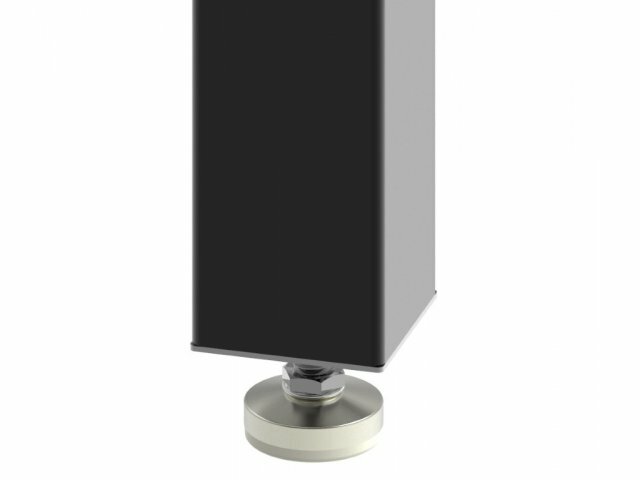 Glides will keep your table standing strong, while enabling you to move it as needed from time to time. 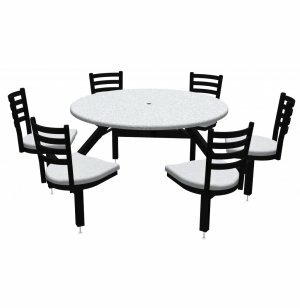 Expand your food court into the great outdoors with a Round Outdoor Dining Table from Palmer Hamilton. 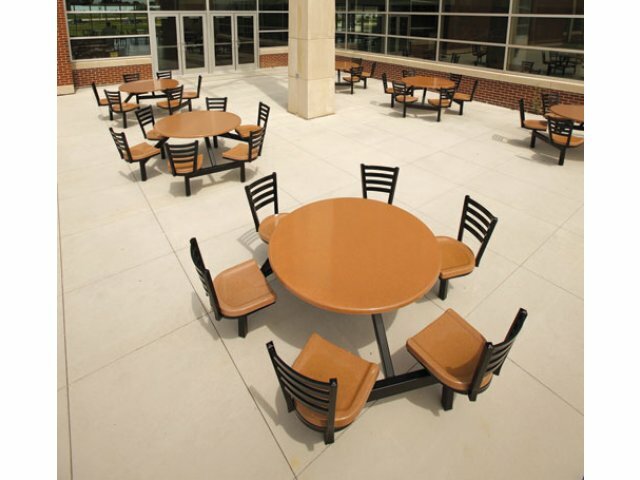 Unlike typical cafeteria tables or picnic benches, these outdoor tables have contoured fixed seats which provide comfort and personal space during meal times. They encourage your students to enjoy some good company and fresh air so they will return to class rejuvenated and ready to learn. These outdoor dining tables are designed for your convenience. The attached seating eliminates the hassle of moving chairs and tables around. 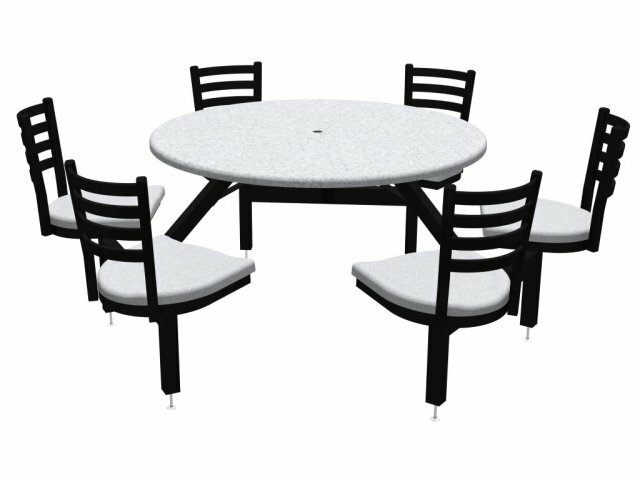 Tabletops and seats are fade-, chemical- and stain-resistant, supported by a heavy-duty steel frame so your students can enjoy them for the long term. If you are looking for a contemporary alternative to classic cafeteria tables, these outdoor dining tables will really make your space stand out. Convenient Design: The self-contained dining area always has just the right amount of seating. Smooth Surfaces: Polyester-based polymer table tops and seats. Resiliency: Tabletops and seats are UV-, fire-, chemical- and stain-resistant. Strong Material: Tabletops and seats have a solid plywood core. Shady Option: A built-in umbrella hole allows you to easily add some shade on hot and sunny days. Sturdy Support: Frames are constructed from 11-gauge steel tubing with an outdoor-grade powdercoat finish.